The 2019 version of one of the Rocky Mountains’ greatest springtime events, the Denver Auto Show, will open its doors to the Colorado Convention Center on March 28, preceded on March 27 by the Preview Gala featuring former Denver Nuggets’ coach George Karl. 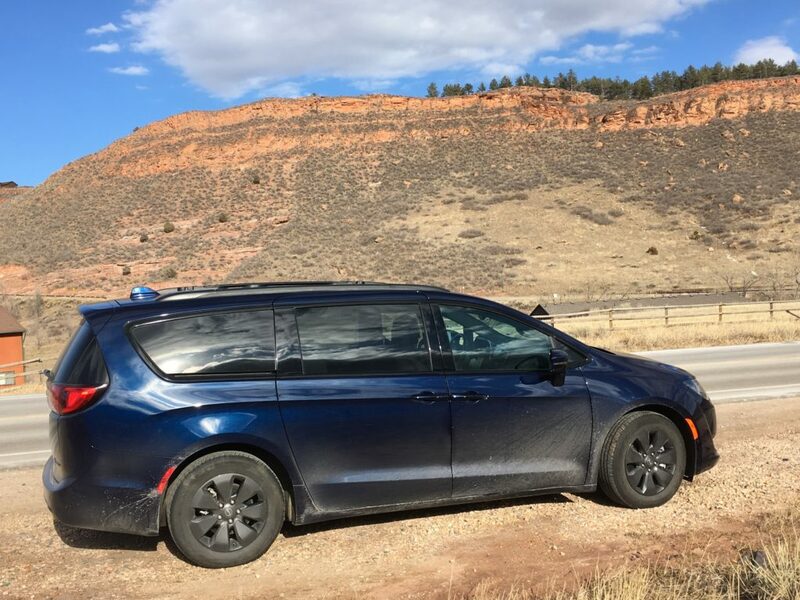 In preparation for walking among the burgeoning nameplates devoted to electrics and hybrids, I’ve driven the 2019 Chrysler Pacifica Plug-in Electric. The most technologically advanced minivan on the market, it features an electronically variable transmission tied to two electric motors, a battery pack and 3.6-liter, V-6 gas engine. It delivers 33 miles of full-electric-drive range, and often tops 30 miles per gallon in combined fuel mileage. The auto show extravaganza is its 42nd consecutive since Bill Barrow resurrected the show after being hired to oversee the Colorado Automobile Dealers Association (CADA) in 1977. In sorting through old newspaper files of mine, I came across a column from May 1978 promoting the Denver Auto Show after its absence of 11 years from the city. It listed the names of car dealers who assisted Barrow in organizing the show, May 31 through June 4, 1978, at Currigan Exhibition Hall. It was a big deal and their names perhaps ought to be commemorated. Teaming with Barrow, the dealers on the 1978 auto show committee were Hugh Tighe, Steve Dowson, Joe Fadely, Ann Goodro, Johnny Haas, Bud Karsh, C.F. Pansing, Bob Post, Chuck Ruwart and Ken Stiner. Back in those days, I borrowed Dodges from Tighe, Oldsmobiles from Dowson, Fords from Ms. Goodro, Mercurys and Lincolns from Haas and Volvos from Karsh for my reviews in The Denver Post. The 2019 edition of the big show is headed by Tim Jackson, president of CADA, and Fletcher Flower of Flower Motor Co. in Montrose, who is auto show chairman. Jackson, who succeeded Barrow in 2005, has earned national recognition for his travel all over the country on behalf of auto industry issues; an opinion column of his was featured in Automotive News of Detroit. Flower’s dealership is one of three which has operated more than 100 years in Colorado (the others are O’Meara and Schomp). The recent cold, snowy weather took a toll on the hybrid performance of the Chrysler Pacifica, lessening its 33-mile all-electric range a bit and dropping a three-day fuel check to 26.6 mpg. In later mild temps, though, and after a plug-in partial electric charge to 13 miles, Jan and I enjoyed a 70-mile drive to Masonville and on through the hills past Horsetooth Reservoir near Fort Collins. The electric-mode torque provides excellent low-end acceleration, and overall fuel mileage was 34.5. In addition to the 13 miles on electric power, regenerative braking produced added miles to that of gasoline power. The 260-horsepower combined engine/electric motor output seems sufficient for the 5,000-pound van, and its new (evt) transmission is smoother than its standard 9-speed automatic. It has an effective lane-assist system, though perhaps a bit too immediately severe for 75-miles-per-hour travel; the tops, in my opinion (Mercedes and Audi), use a more-gentle nudge back toward center-lane. Chrysler has also equipped the Pacifica with optional forward-collision warning, adaptive cruise and parallel and perpendicular park assist. The Pacifica, built in Windsor, Ontario, Canada, teamed with the Dodge Grand Caravan as the two top-selling minivans in the country last year. In its hybrid form, unlike the standard gasoline-powered Pacifica with stow ‘n go, the hybrid’s second-row seats can’t be folded into the floor, for that space is devoted to the battery pack. The third row, however, will flip back flat into the floor and expands cargo space from 32 cubic feet to 87.5. Sticker price on the Chrysler Pacifica Hybrid Limited is$50,375.